Flaunting sleek yacht-like lines, the MS Sea Swallow is a brand new vessel to be launched in the 2019 cruising season. The deluxe 49 m cruiser features state-of-the-art equipment and the highest safety standards, for optimal intimate small ship cruising comfort. There are 18 spacious air-conditioned cabins, all with private en suite bathroom and a host of amenities. On the upper deck there is a restaurant and bar, and a 180 degree VIP saloon area that offers exceptional panoramic views. 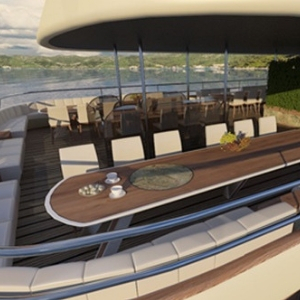 The large sun deck provides relaxing sun lounger seating and a Jacuzzi. The 49 m MS Sea Swallow is a deluxe, brand new vessel with classic yacht-like lines and contemporary state-of-the-art features. 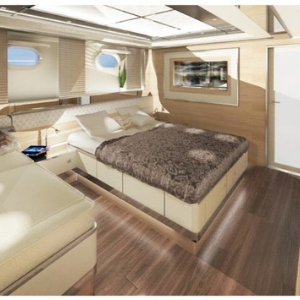 Launching in 2019, the cruiser offers spacious comfort with a touch of luxury. Guests can relax in cabins that are furnished to a high design standard. The 18 air-conditioned twin and double cabins feature modern amenities and chic neutral palette décor that is sophisticated and stylish. 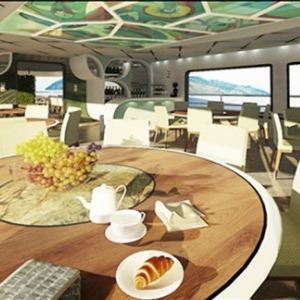 The public areas of the ship provide a luxurious environment for unwinding and socialising. The elegant upper deck restaurant accommodates all guests in a single sitting, and the VIP saloon area offers 180 degree views. The sophisticated design of the cabin interiors doesn’t compromise on comfort or space. The 18 spacious air-conditioned cabins feature a private en suite bathroom with shower, flat-screen TV, wardrobe, in-room safe, hairdryer and complementary toiletries. Some cabins also include a comfortable seating area. Warm natural tones and light coloured woods create a sense of harmony. Luxury fabrics provide an elegant designer finish. The cabins offer flexible bedding configurations for up to 36 guests. 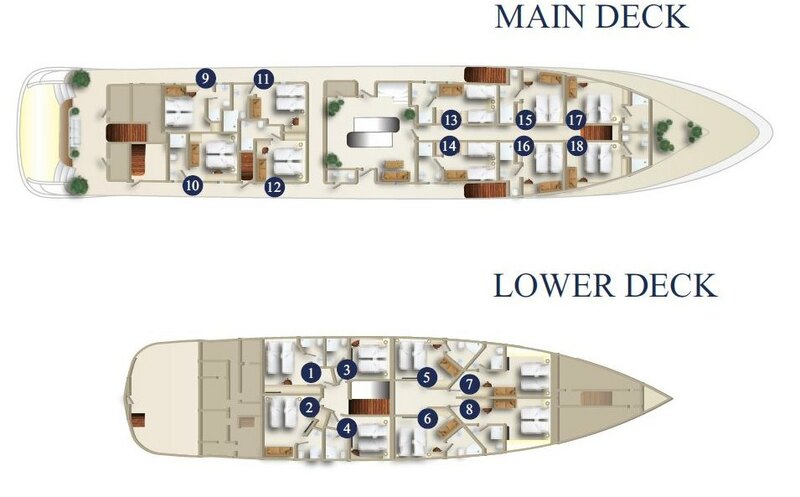 On board the MS Sea Swallow guests can relax and enjoy a host of modern amenities in communal areas that are spacious and inviting. Start the day with breakfast in the expansive air-conditioned upper deck restaurant, with accompanying panoramic views from the large windows. 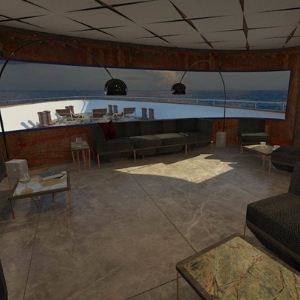 For the best vistas, head for the VIP saloon area that boasts 180 degree views. There is also a bar with comfortable sofa seating. To enjoy the climate, the large sun deck features an array of sun loungers and a Jacuzzi. To the rear of the ship there is a swimming platform with ladder access to the sea.